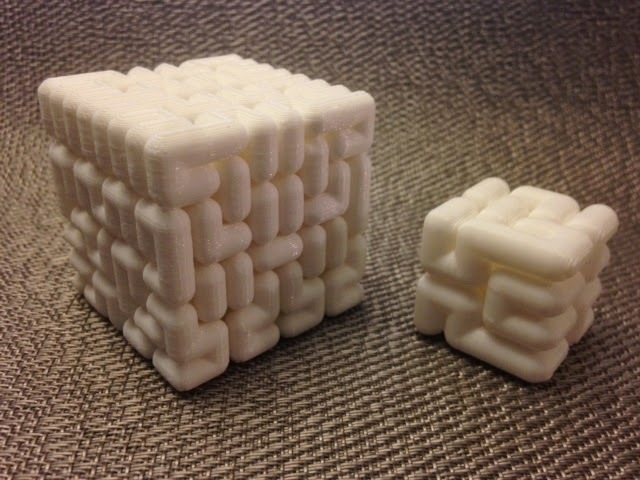 Today's print is sushiyaki's Hilbert block model on Thingiverse. This model is great because it prints without any supports at all, and some of the gaps between the paths even separate. There is also a natural slot that you can use to hold a business card or photo! Stuff for the future: Bill Owens (owens on Thingiverse) has been thinking about making a Hilbert cube model that prints on its corner without the need for supports... stay tuned?